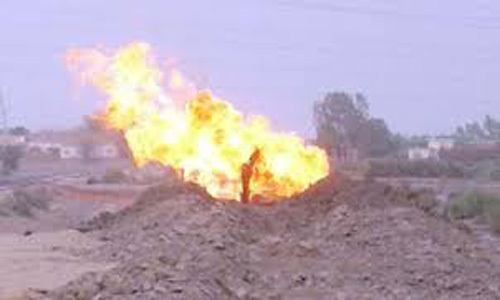 NASEERABAD (92 News) – Two gas pipelines were blown up in separate incidents on Thursday. According to sources in the Balochistan Levies, unknown people detonated explosive material near a tw0-inch gas pipeline coming from the Shikarpur plant. After the blast, the gas supply was suspended to Naseerabad and adjoining areas. The supply to Quetta was also affected. Meanwhile, the supply to Quetta and other areas was suspended after another blast.